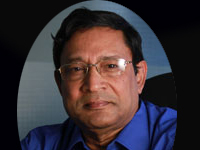 Prof. Mohammad Ali is the founder of Liver Foundation of Bangladesh. He is the Professor of the Dept. of Hepato-Biliary-Pancreatic Surgery and the Chief Liver Transplant Surgeon at BIRDEM Hospital, Dhaka. Mohammad Ali completed his graduation in 1973 from M.A.G Osmani Medical College, Sylhet, Bangladesh. Professor Dr Mohammad Ali obtained Fellowship in Surgery from Bangladesh College of Physicians and Surgeons (BCPS) and The Royal College of Surgeons of Edinburgh, UK. He also obtained Fellowship in Hepato-Biliary-Pancreatic Surgery and Liver Transplant from Queensland Liver Transplant Services, University of Queensland, Australia; and further training obtained in Liver Transplantation from the University of Tokyo and the Kyoto University, Japan. Prof. Mohammad Ali established the Dept. of Hepato-Biliary-Pancreatic Surgery at BIRDEM in 1999. Dr. Mohammad Ali is one of the authors of the book “Chronic Allograft Failure” (edited the Chapter “Hepatic Allograft Loss: Pathogenesis, Diagnosis and Management”) which was published from Mayo Clinic Transplant Center, Florida, USA. Under his initiative, the first successful Living Donor Liver Transplant in Bangladesh was held at BIRDEM Hospital in June, 2010, and the 2nd successful Liver Transplant carried on in the following year. He received the Health Award 2010-2011 known as “Healthier Bangladesh”, and also received the Khan Bahadur Ahiya Award – 2008.